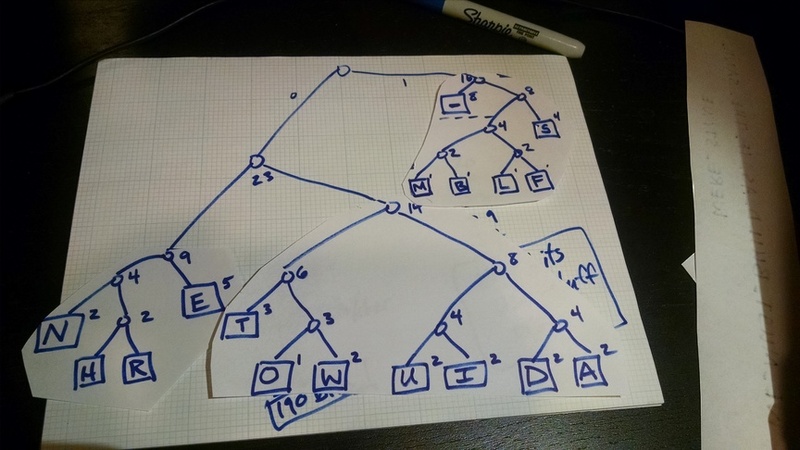 You will follow the Huffman algorithm and create a tree of your own, based on the character frequencies of a message that I provide. The video below illustrates the algorithm on paper. I apologize that the resolution and audio quality aren’t great, but it should be understandable. The final encoding and tree are also pictured below.